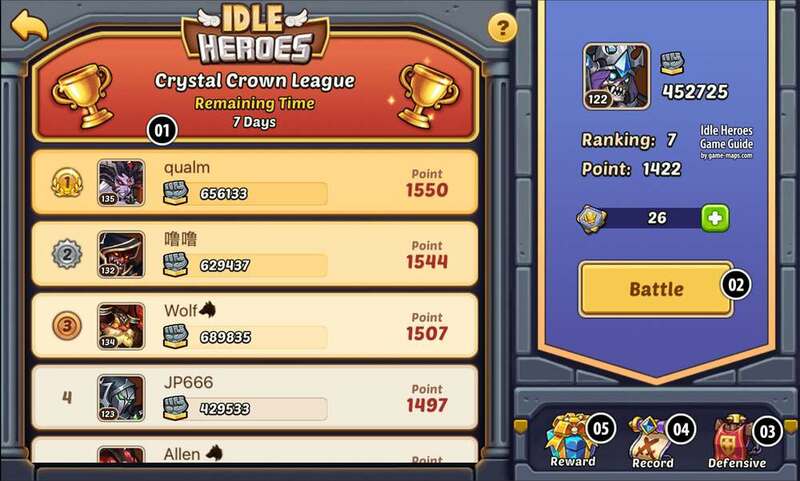 In Crystal Crown League Arena you can fight other players on your server with your 6 Heroes Team. 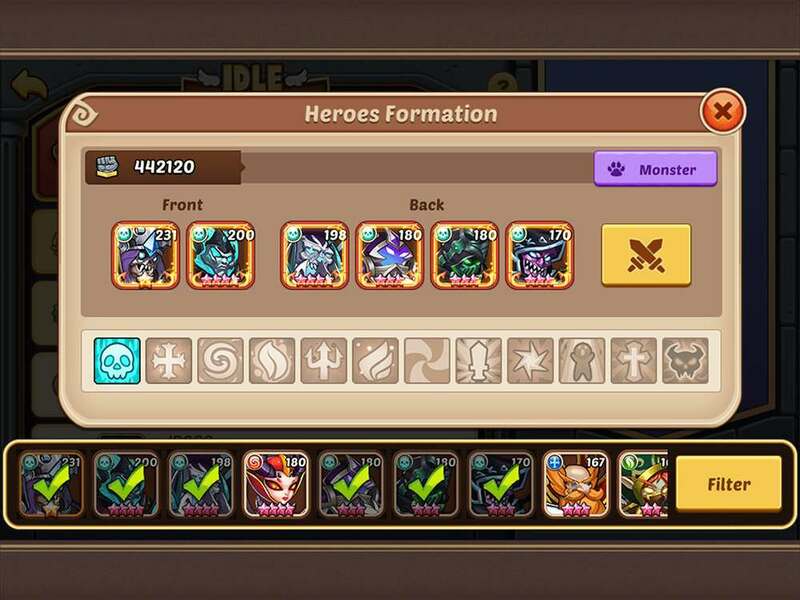 Idle Heroes Strategy Game Guide. 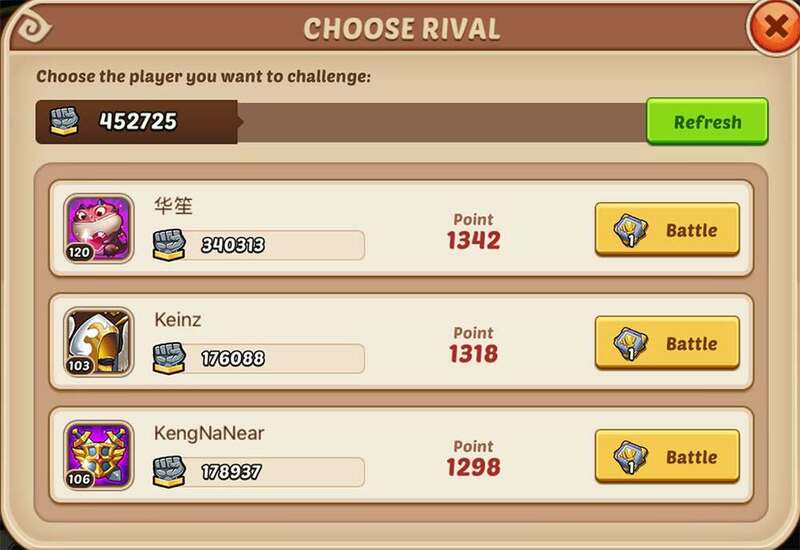 On Crystal Crown League Arena you can fight other players on your server. This arena is available from Level 18. The fight in Crystal Crown League Arena will not bring you much profit. This is an easy way to collect Magic Dust. The most important rule is to carry out the final battles just before the Event ends. So do not let your opponents push you at the very end of the event to the lower positions in the rankings. 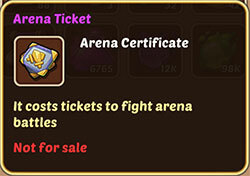 Get involved in arena fighting at Arena Events, then you can decorate additional prizes in this artifact. To perform a daily quest you need to fight three times a day. Two battles you have for free, the third you have to pay. Other Arena Tickets are collected at the Arena Event. The first two battles each day are available for free. 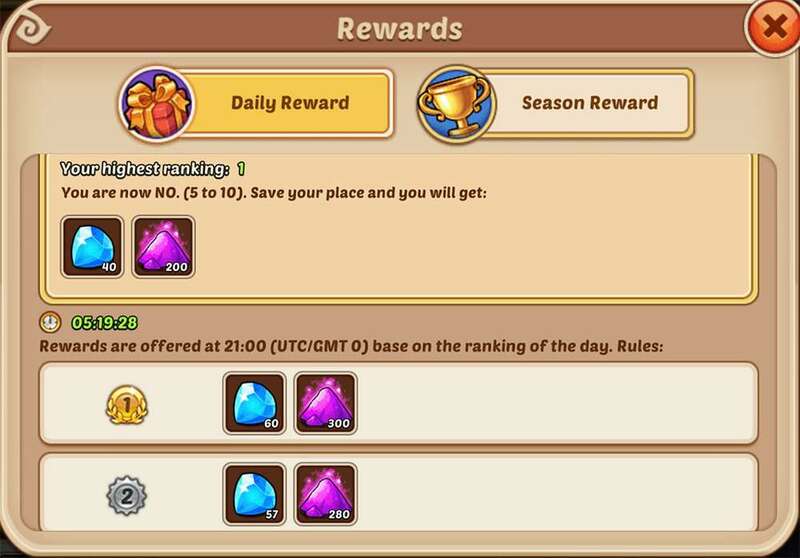 For all the next same day you have to pay 1 Arena Ticket. 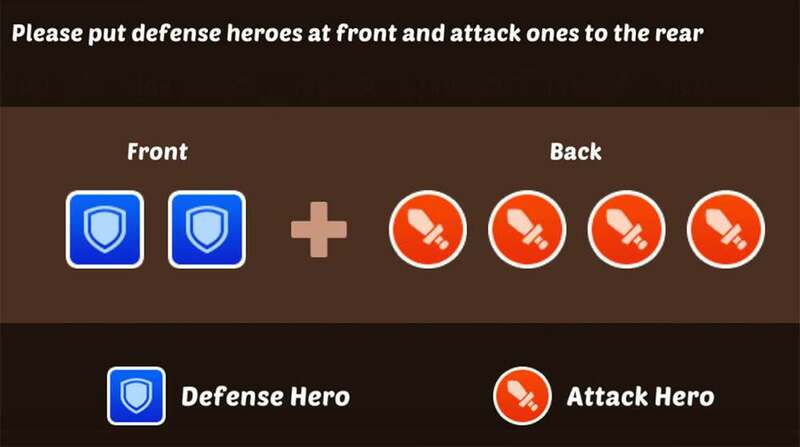 Here you have to choose the formation of your heroes in which they will defend themselves against the attacks of other players. Other players can attack you in the Crystal Crown League, you defend yourself automatically. Here you can see the last battles. Here you can check the prizes Daily Rewards and Season Rewards. You have to choose 6 heroes. The other four (back) are your Attack Heroes. Each arena battle lasts 15 rounds. If battle exceeds the time limit, the attacker will lose. The daily ranking rewards are sent to winners at 21:00 (UTC/CMTO) daily. For every attack you get a small reward. 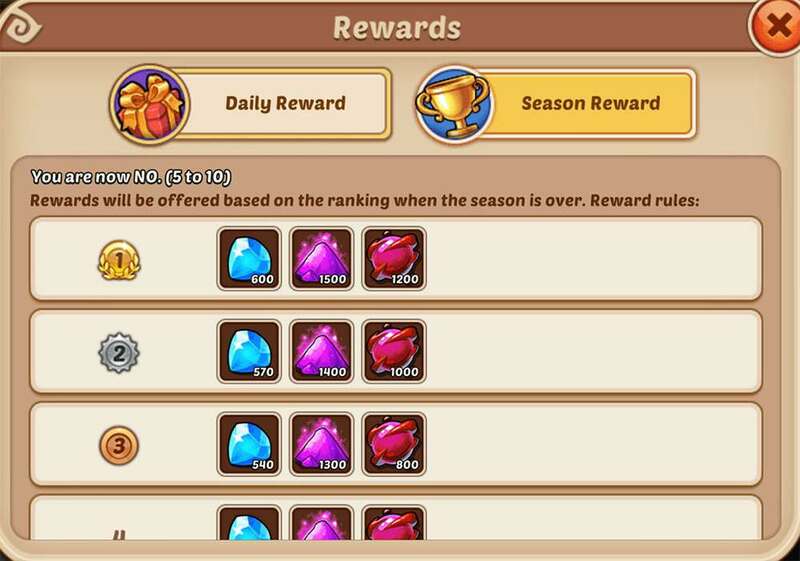 Rewards, Gems and Magic Dust will be sent to the highest ranking players every day. At 00:00 GMT on every Monday you will get by mail a reward of Gems, Magic Dust and Monster Souls.